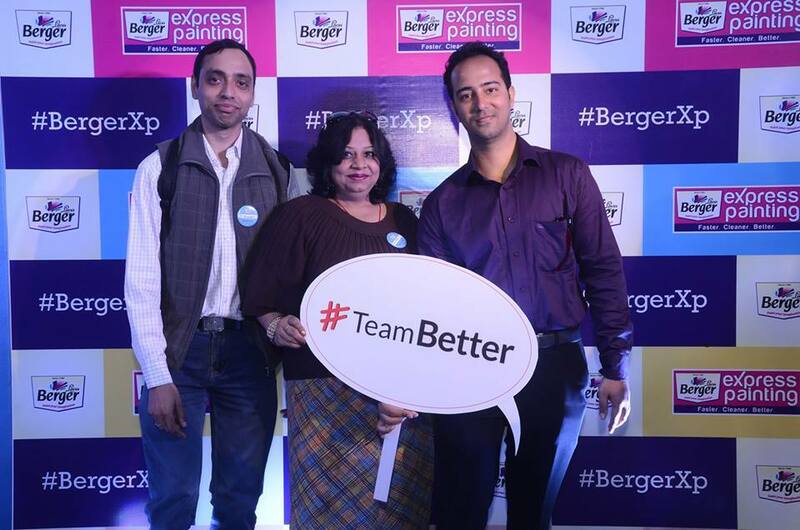 I applied for an invite for the Indiblogger #BergerXP meet. After all, the event was taking place after so long. After covering many cities, Berger came to Delhi for an event and enlighten us for their Home Painting Tools. I waited and hoped for the best to get an invite. Finally, I got an invite on Thursday. I geared up for the event to be held at Vivanta by Taj in Dwarka, Delhi. Three of us decided to meet up at the Dwarka Metro Station. Shwetabh, Dipali and me. I waited for Shwetabh after reaching the destination but due to Saturday, it took some time for Dipali to arrive there. We met Karthik, Renie as Karthik registered us for the meet. Soon it was followed by Lunch. I was expecting some drinks as well but to no avail. I had to fill up my stomach with lunch only! Haha! After the Lunch, we picked up our Twitter Badges. Soon a call was made for all of us to enter the hall and take up our seats as the meet was going to start soon. 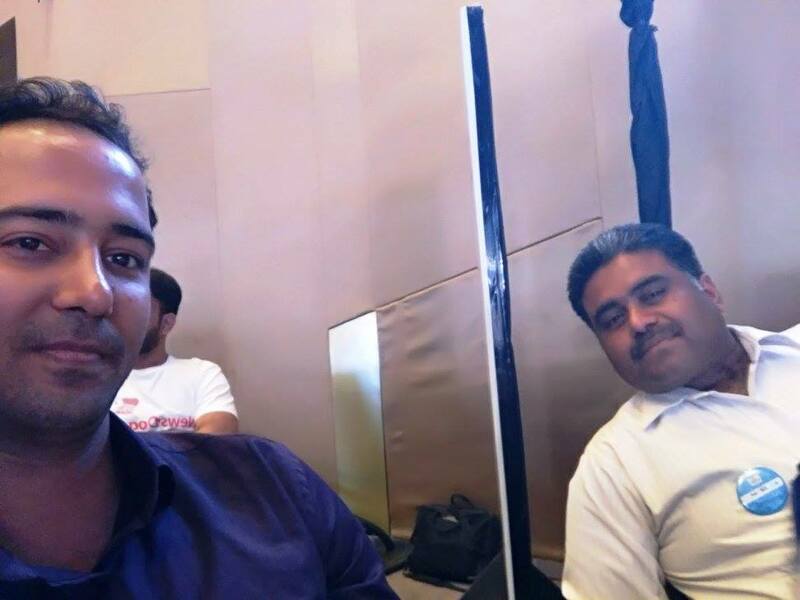 I was pleased to meet Anoop after so long! We started the proceedings with something which is now no longer used at Indi – introduce yourself. We now use a more advanced version of it but it was good to have something from so long ago. The intro was given by a 14 year old v-logger and then one more person as they were new out there. Then came the networking part. We were provided with sealed envelopes in which there were five strips of writings which were to be used to recognize the blogger to which they actually belonged! I was able to figure out two of the five as we were given only five minutes to complete the activity. I feel some more time must have been given. :) At the end, Manjulika was the one to win the activity as she got all five first. We even sang “Happy Birthday” to two of the bloggers who were to have their birthdays in the coming days. Now the actual event began when Mr. Das from Berger Paints took over the mic and introduced Berger Express Painting solution for all thos who would like to try a cleaner and faster painting solution for their homes. The best part was that all this can be done at no extra cost when compared to conventional painters. Several questions were asked to know how it would be achieved and what they will do in order to meet their costs. The answer was that the painting job will be automated. They also notified that that they have already trained 21000 painters at their academies. After the QnA session, we were provided with masks, gloves, caps, sand paper etc as it was time to get our hands dirty part of the event. Teams were formed having 8 members each. and each were given wall like surfaces. They were to be made smooth first with sand paper against the timer. After the activity part one ended, then came the tea break. As it concluded, the event took pace with winners getting to know more about the tools and techniques whch Berger has developed to ease the painting job for your homes. 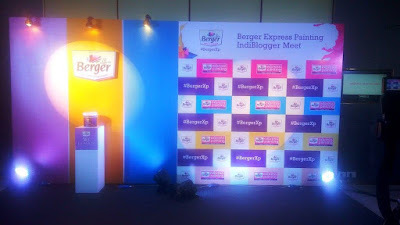 Soon, it was time to head home and each of the bloggers were given a gift by Berger which consisted of Berger booklets of interior and exterior paint combinations as well as a coffee mug. Overall, the event was a good one. 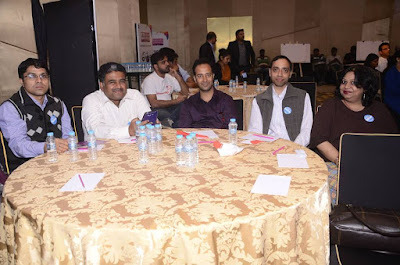 I request Indiblogger Team to conduct more such meets in Delhi!